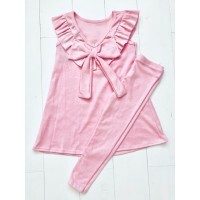 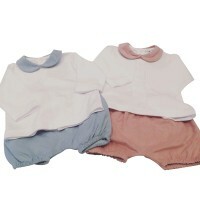 Pink & cream peter pan coller top & knickers set .. 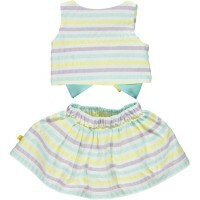 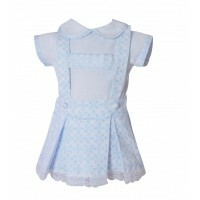 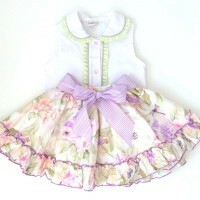 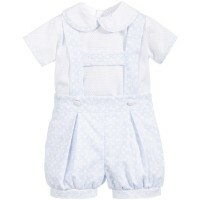 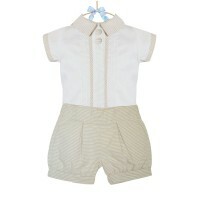 Girls Cream Blouse with Blue Ribbon detail, on the shoulder, with patterned shorts with Bow Tie Belt.. 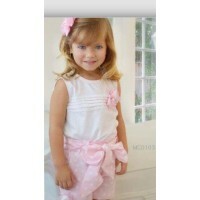 Pink Bow Jam Pant Shorts, with Bow detail to the front, Whte Short Sleeved Blouse with lac..
Sleevless white shirt & pink Bow tie short with matching elasticated head band. 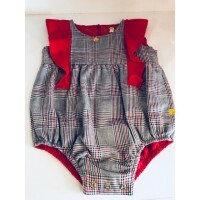 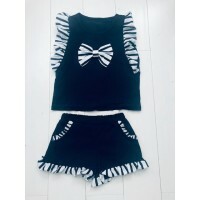 ..
3 peice t bar dress & white short sleeved blouse & knickers ..
3 peice set, Short sleeved blouse & t-bar shorts ..
White sleeveless blouse & lilac/green print skirt with Bow ..
Red/Black Top and Trouser Set. 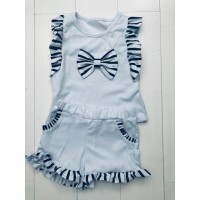 Top has Ruffles down each of the Arms with Pearl detail, tr..
Navy/Red 2 Piece Leggins and Dress /Top can either be worn as a Dress or a Top. 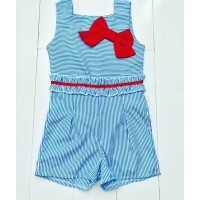 Red Leggin..
Tartaleta Blue/White Floral Sleevless Top and Bow detail, with Button fastening and Knicke..
Blue/white stripped frill neck Blouse and Jam Pant set ..
Tartaleta Peach Sleevless Top with Lace trim & skirt trimmed also with Lace with sash Bow. 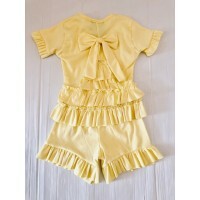 ..
Tartaleta Yellow And white Skirt trimmed with Green and a sash Bow which ties behind, ..
Velour Lounge set, Legging Style Trousers with Long Sleeved Matching Top which can be wron on the Sh..